With chapter titles such as "On Getting Your Feet Wet," "Welcome to the Wild, Wild West," "Why Were They So Stupid?" and "Honey, We Solved the Riddle," this fifth volume in the Old Testament for Everyone series is sure to provide a refreshing visit with the Scriptures! Following on the heels of the successful New Testament for Everyone commentaries comes the ambitious Old Testament for Everyone series. Covering Scripture from Genesis to Malachi, John Goldingay addresses the texts in such a way that even the most challenging passages are explained simply. 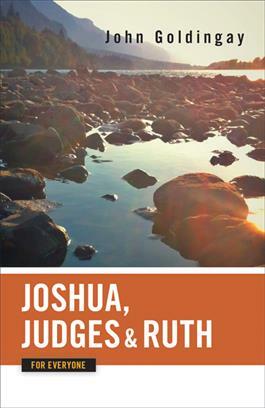 Perfect for daily devotions, Sunday school preparation, or brief visits with the Bible, the Old Testament for Everyone series is an excellent resource for the modern reader.